Art by Pia Guerra and José Marzá, Jr.
A Russian Soyuz capsule is coming down from the International Space Station carrying three passengers: one woman and two men. Could this be the end of Yorick's tenure as last living male? 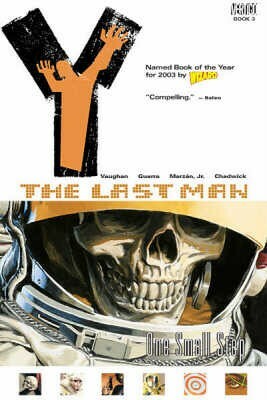 Collects Y the Last Man #11-17.